The great thing about shows denounced as “slow,” like the recent National Cable Telecommunications Association gathering in Chicago, is the extra time afforded for actual conversation and not staccato sound bites. That’s precisely what happened upon bumping into a friend during the National Show, who professed to be the not-so-proud owner of an UltimateTV box from DirecTV Inc.
That, coupled with a sneak preview of a new chip from Broadcom Corp., prompted a closer look at digital video recorders (DVRs) built into direct-broadcast satellite (DBS) and cable set-tops. The fact that DBS is already offering a built-in hard drive for time-shifted TV is a scary thing, to be sure. DirecTV and EchoStar Communications Corp. are already causing churnful pain for cable video. Adding something as innately useful as a DVR – at a time when cable’s set-top suppliers are between the announcement stage (“We’ve got one!”) and the delivery stage (“We’re deploying!”) – is competitively unsettling. As it turns out, said friend doesn’t live in one of the 41 cities in which DirecTV offers local, off-air stations. As a result, he gets those channels from cable, in standard analog format. One night, as he was dashing out the door – rushed, but intent on recording that night’s episode of The X-Files – he found that analog TV from any source (cable or antenna) can’t be stored in UltimateTV’s DVR. And now, this statement from the Department of the Obvious: Most of the 110 million U.S. TV viewers still watch lots and lots of episodic TV on ABC, CBS, NBC and Fox. Episodic TV is a natural for time-shifted viewing. The reason my friend couldn’t record X-Files with his Ultimate TV box is that it doesn’t house the smarts to digitize and compress anything on the fly. Yes, signals raining down from DirecTV’s satellite – pre-digitized and pre-compressed – can be captured by the hard disk. But if signals aren’t pre-digitized and pre-compressed? Tough luck. Suddenly, the fear factor induced by DBS PVR becomes a competitive fulcrum to do a better job at time-shifted DVR on all channels, including analog. Which brings us to the new Broadcom chip. Within the inner sanctum of Broadcom’s always clandestine booth was a new, single-chip MPEG-2 (Moving Picture Experts Group) video encoder that can digitize and compress two independent video channels, simultaneously. Why does this matter? Because without it, cable will be in the same position as DBS, when its suppliers start producing combo set-top/DVR boxes. A spectral refresher: Cable’s downstream (headend-to-home) capacity lays in 6 MHz chunks, between 50 MHz and 860 MHz. The region between 550 MHz and 860 MHz is generally where the digital tiers go. The area below 550 MHz is where analog TV channels go. Along with news of a new Broadcom chip came word that Scientific-Atlanta will use it in its forthcoming Explorer 8000. That’s the set-top that contains a hard disk for DVR services. With the new chip, consumers who ultimately use the 8000 will be able to record one show while watching and time-shifting a different program, or record two programs at the same time, to be viewed right then, or later. Motorola hasn’t detailed its DVR plans yet, in terms of what’s under the hood of its freshly announced DCT52Xo line (the “X” denotes storage capacity, 20 or 60 gigabytes). It’s plausible, though, to expect a similar architecture – or at least one that includes the ability to digitize and compress analog TV. More importantly, though, the dual-encoder chip means that cable’s rollout of set-tops with integrated DVR, when it occurs, will probably get a warmer reception by customers. The problem uncovered by the friend who couldn’t record X-Files is one of those irritants that shows up after the purchase, and doesn’t go away. It continues to vex, over and over, every time an analog signal carrying a desired show cannot be saved for later viewing. Yet in cable boxes outfitted with a dual-encoding chip, customers will not only be able to time-shift analog (or digital) TV. They’ll also be able to manipulate two analog (or digital) channels at the same time. 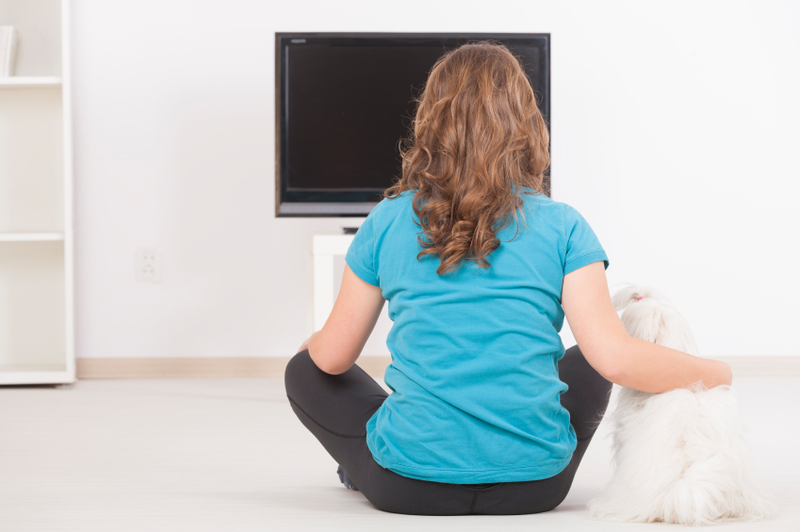 If you live in a house with more than one person – and a TiVo box – you know why this matters. Favorite shows are different for different people, and they do sometimes overlap. The UltimateTV box lists at $399. If my un-X-Filed friend were within the local station footprint, he’d pay an extra $5.99 for that. He already pays $19.95 per month for the UltimateTV service, on top of his $80 per month DirecTV bill. Seems pricey, for what it does, and doesn’t, do. At the 2001 SCTE Cable-Tec Expo, I wandered the show floor in search of the new and interesting. In this segment, Ken Kraft, Director of Business Development for Tellabs Broadband, explains the company’s voice-over IP migration strategy and shares some of the changes he’s seen in telephony over the last eight years. At the 2001 SCTE Cable-Tec Expo, I wandered the show floor in search of the new and interesting. In this segment, I talk with Shellie Rosser, then VP of marketing for Narad Networks. Shellie outlines how the company’s ‘virtual fiber technique’ works, and why it matters to operators considering 100 Mbps Ethernet connections to businesses. At the 2001 SCTE Cable-Tec Expo, I wandered the show floor in search of the new and interesting. Hot in ’01: Bandwidth expansion, IP technologies, and switching. We start with Bow Rogers, CEO of BigBand Networks, to discuss how digital packets are sent from the headend to the home. Rogers explains a new type of “video router” and the benefits it intends to provide to MSOs and consumers. Before leaving the ’01 SCTE Expo, I caught up with Jim Farmer, of Wave7 Optics, to discuss why fiber to the home is viable now. He explains the growing demand for bandwidth, why fiber-deep isn’t as tough on the wallet as you’d think, and the technical processes behind their product. Jim is one of my all-time favorite engineers. Last time, we examined the signal paths to and from today’s installed base of 10 million+ digital set-top boxes. This time: An attempt to connect the dots between those units (Motorola’s DCT-2000 line, Scientific-Atlanta’s Explorer 2010/2100 line, and all clones), and three, general types of interactive applications. Resolving which flavors of interactive applications snap into which signal paths, on the installed digital base, necessitates a distillation of interactive TV types. Generally, there are three kinds of television interactivity, even though there are as many ITV suppliers as there are letters in the alphabet. First are “set-top resident” applications, meaning they live in the box. (Technologists sometimes call this a “rez app.”) In today’s world, this is prevalently the electronic program guide. It consists of a user navigation shell, and the actual information about what show is on at what time. In the Explorer 2010/2100 line, the current and next day’s worth of guide data is sent to the box via the out-of-band path. The out days are carried in-band, to be retrieved quickly when requested. In the case of Moto’s DCT-2000, guide data is sent out-of-band. In general, guide data comes in increments of days (two days, four days, and so on). Each day chunk directly impacts how much set-top memory is left for any other interactive applications. More guide data, less room. Less guide data, more room. Notably, there are two types of memory in today’s boxes – DRAM (dynamic random access memory, pronounced “dee-ram”), and flash. Data goes in DRAM; application code goes in flash, usually. The difference arises when the power goes off. Stuff in flash memory stays, and returns with the power. Stuff in DRAM needs to be re-retrieved. The second type of interactive category, “program synchronous,” is what happens when interactive things come with a TV show or ad. The pointer to the interactive thing — be it a click-to-buy offer, contest, or show-related quiz — is sent along inside the program, and presented to the viewer as a clickable gizmo. Most commercials last a scant 30 seconds, so responsiveness matters. Indeed, most program-synchronous apps require real-time handling. The third interactive category spans anything that is “session-based.” Session-based means the set-top works in alignment with servers, located elsewhere in the network. In most cases, a software kernel roosts in the box. It has to be skinny or it won’t fit in flash. (For dog people: Picture a greyhound with the retrieval passion of a labrador.) The kernel’s job is to quickly get the navigational shell, or graphical user interface, or whatever people call the thing that displays when the “menu” button is pushed. The session begins the second a subscriber pushes the button to invoke something from the menu. If user Jane wants the Denver weather, and pushes a button to summon “local weather,” for example, the message “rain again” isn’t immediately at hand, in the box. It needs to be fetched from a remote server, via a session. It is precisely at this point that we enter Part Two of the signal path translation (see “In Band, Out of Band, Whatever It Takes,” May 28 edition), because its performance impacts both program-synchronous and session-based interactive services. The in-band and out-of-band signal paths are seasoned with distinctive characteristics that, when harnessed to specific ITV types, bring out the best (and worst) in them. It’s an inalienable truth: Some interactive television types just don’t blend well with existing digital boxes and signal paths. Example: You’re watching the Stanley Cup series. It’s a blisteringly active game. You send an instant message to your hockey-aficionado friend: “Wow! Did you see that? !” It is ITV buzzkill in its purest form if your message arrives on your friend’s TV four hours later. Which brings us to another distinctive marking on the out-of-band path, beyond what was described previously. It involves timing, and specifically, whether the out-of-band path is real-time or polled. Doing anything on today’s digital set-tops that requires immediacy – playing a twitch game (session-based), making a phone call (session-based), sending an instant message (session-based or program synchronous), clicking to buy something nestled in an ad or TV show (program synchronous or session-based) – you want a real-time connection to the goods. You don’t want the headend controller to collect your customers’ interactive clicks in a round robin, box-by-box interrogation. Polling is measured in hours, not in seconds. If the boxes you’re using contain a real-time out-of-band path, you’re reasonably outfitted to swiftly collect clicks from your subscribers’ remote control or wireless keyboard, and fling them upstream to the applicable server for handling. If not, and you want that, you’ll need more equipment – in short, data networking accoutrements that were born for session-based, networked communications. The interim game is to synchronize the out-of-band path with the in-band path, to simulate a session-based environment where subscriber clicks are immediately satisfied, and delivered over a swift, downstream path. It’s the best that can be done until the hot-rod set-tops arrive on the scene.